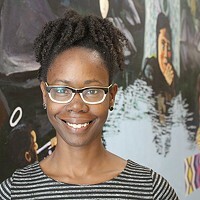 This story is the fourth of a five-part series on women making a difference at Charlotte arts and cultural institutions. Before the hum of orchestra tuning begins, the lobby of Knight Theater is abuzz with energy. The normally homogeneous symphony crowd is much more mixed on the evening of January 27. That's because the Charlotte Symphony is preparing to put an alternative spin to the musical experience. The sound on this particular night will be a symphonic mashup of Brahms' Symphony No. 1 (1876) and Radiohead's OK Computer (1997). The Brahms v. Radiohead concert, conducted by Steve Hackman, has attracted jeans-wearing Gen Xers looking for a little '90s nostalgia, curious Doc Marten-wearing Gen Zers and older Millennials, along with the typical tux-and-pearls-wearing Charlotteans you usually see at symphony experiences. This was all part of the plan for Mary Deissler, the new president and CEO of the Charlotte Symphony Orchestra. "I profoundly believe that the world needs music. Music is a way to connect and break down all borders," she says. That is Deissler's mindset — and it is positively changing the way the Charlotte Symphony operates. Deissler took the leadership reins of one of the mainstays of Charlotte's arts institutions last June, and before she had even fully transitioned into the role, she already had plans to take a "borderless" approach to the music programming to keep the Charlotte Symphony's finances in the black. The field of classical music, she says, is "going through a period of really important change. We have some orchestras that have figured that out, and have been very successful with moving forward and making a mark on their community. Others are not quite there and have an older view." The older view Deissler refers to is a more plutocratic approach to the orchestra revenue model. 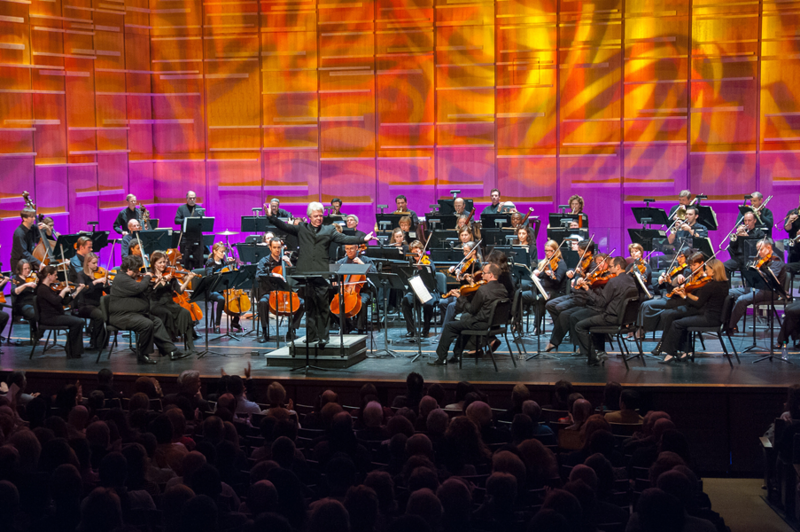 It's when an orchestra caters its programming to the desires of a small number of people who have always supported and attended symphony events. That model eschews programming that would appeal to the wider community unless the handful of symphony funders see widening the musical offerings as providing more donor dollars. And often, traditional funders don't see widening the musical offerings as a "proper" approach. Deissler does, and her priority for the Charlotte Symphony is to see it become a vital part of everyday life for all Charlotteans. "We need to be very relevant to a much wider group of people each and every day to be valid and to survive," she says. The learning curve within the classical music industry is much harder to scale than one would think, she says, but it's happening. Bringing symphony music to wider audiences may be a 180-degree turn from what's become expected from the Charlotte Symphony, but for Deissler, proselytizing about classical music is not new. "I thought I wanted to be a concert pianist from the ages of 8 to 18," she says. "Then I tried conservatory for a little while and realized there are people way better than I was. I had terrible stage fright, so I knew I would not be able to be a performer." Deissler's stage fright pushed her to pivot into the corporate world for a while, but by the early 1980s the arts had called her back. In 1982 she began working for Boston's Handel and Haydn Society, the oldest continuously performing arts organization in the United States. "I had the chance to go to work for an organization that I supported as a donor in Boston for a couple of years," she says. "I was their first-ever development director. I did not know anything about raising money," she says, adding with a chuckle, "They did not know anything about it either, so we were a good match for each other." At the Handel and Haydn Society, she connected with Deborah Borda, who encouraged Deissler's desire to push the boundaries of what symphony orchestra programming could be. Borda knew about pushing boundaries. 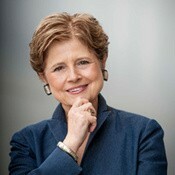 "I'm about change," Borda told The New York Times in 1994, when she was named executive director of the New York Philharmonic. "When the New York Philharmonic was about to hire me, I asked them: 'Are you sure I'm the person you want? Because change is what I've always thrived on, and if that's not what you want then I'm probably not the right person.'" Borda went on to become the longtime president and CEO of the Los Angeles Philharmonic; earlier this month she came full circle when it was announced that she will become the president and CEO of her previous orchestra, the New York Philharmonic, in September. "Deborah has done remarkable work over her career," Deissler says. "I continue to look to her for sage and wise advice about moving the field forward. She has been a great mentor, cheerleader and supporter." Borda and Deissler would connect again in 2011 when Deissler took a development role at the L.A. Philharmonic. Deissler had moved on to become president of the Chicago Academy for the Arts last year before being lured to Charlotte. With the dedicated donors of the Charlotte Symphony slowly phasing out, the need to create new fans and patrons had arisen, and Deissler, steeped in fundraising knowledge, was just what the doctor ordered. The Charlotte Symphony required a paradigm shift. "This is really the critical inflection point for the Charlotte Symphony and the field of classical music — this learning how to move in and around the community, and learning how to listen to the community, and then working to understand the needs that they have that the Charlotte Symphony can fulfill," Deissler says. "We are no longer going in with pre-packaged programs and saying, 'This is going to be good for you,'" she adds. "Instead, we are spending time listening and talking to community members, and from there, we figure out how to make [their requests] happen." In April, the Symphony collaborated with the Levine Museum of the New South and the performance group A Sign of the Times of the Carolinas for a program called Listen Up, Charlotte! 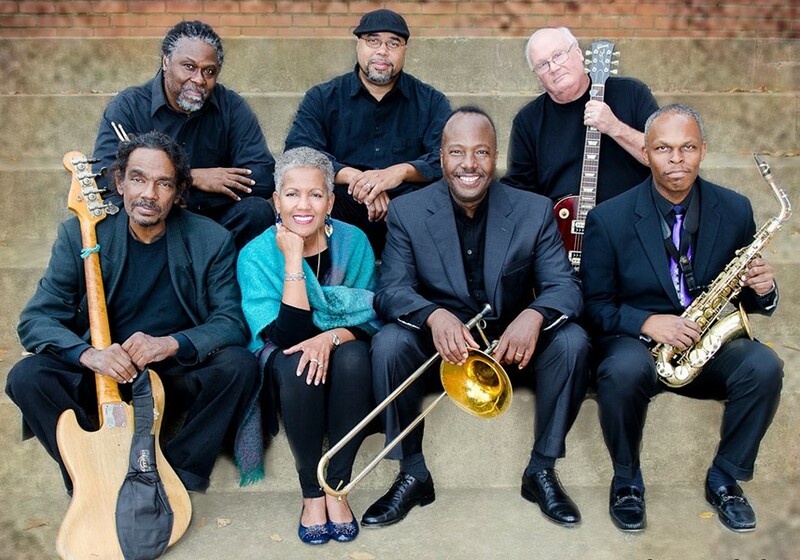 The free concert combined music and storytelling that tackled issues of discrimination and equality. It was an outgrowth of a free event the Symphony had put on in September, One Charlotte: A Performance for Peace, which came on the heels of the uprising that followed the police shooting of Keith Lamont Scott. "This [event] was a way to make a statement: that we go beyond just performing Brahms, Beethoven and Bach," Deissler says, but then adds in an assuring tone: "Those are all core to what we do, but we have to be relevant to the wider community and this is one way we can do it. We have to become indispensable to the greater Charlotte community." Deissler says it is essential that the Symphony go beyond performing only traditional pieces from great composers of the past by integrating music that will add to contemporary conversations that are important to everyone in the community. The Alt Sounds Series is another way Deissler has done this. At the Radiohead event, young Charlotteans wearing graphic tees with matching sneakers sat next to couples in suits and and flowing dresses. Attendees rode the Symphony's sonic volleys back and forth as the triumphant crecendos of the Brahms symphony met the ethereal melodies of Radiohead's songs in a pitch-perfect melding of sounds and cultures. But for Deissler, changing the concert experience through musical selection alone is not enough. She wants the Symphony to become an integral part of the community in ways it's never been before. "Classical music does not have to be confined to the Belk and Knight theaters as mainstage performances," Deissler says. "We have, for much of the last couple of decades, performed in only those venues. We have to find ways to connect with people who do not love orchestral music." She offers an anecdote: "My niece said, 'Let's go to a pub.' I was like, 'Wait, what is she talking about, pub?'" 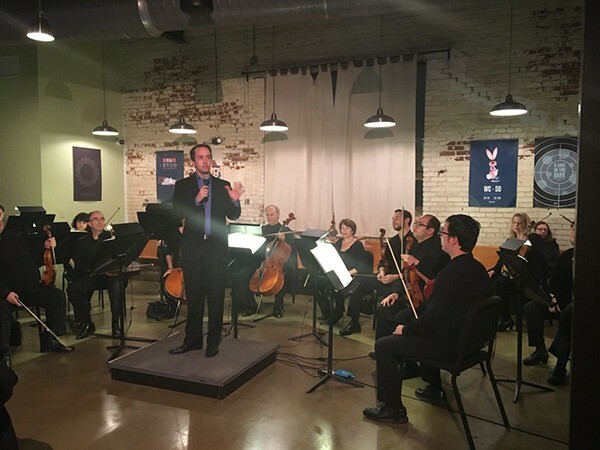 Several small Charlotte ensembles have now performed a pub series. "It is still doing your classic music," Deissler says, "but along with some Jimi Hendrix or Eric Clapton pieces mixed in." Conductor Christopher James Lees takes the Symphony to nontraditional venues. The atmosphere at the pub shows is completely different from those in the big Uptown venues. "People are having their drinks and food," she says. "The place is packed and the musicians are right there with the audience and not up on a stage far away. They are not dressed up in their formal concert attire and they mingle with the guests during the intermission." 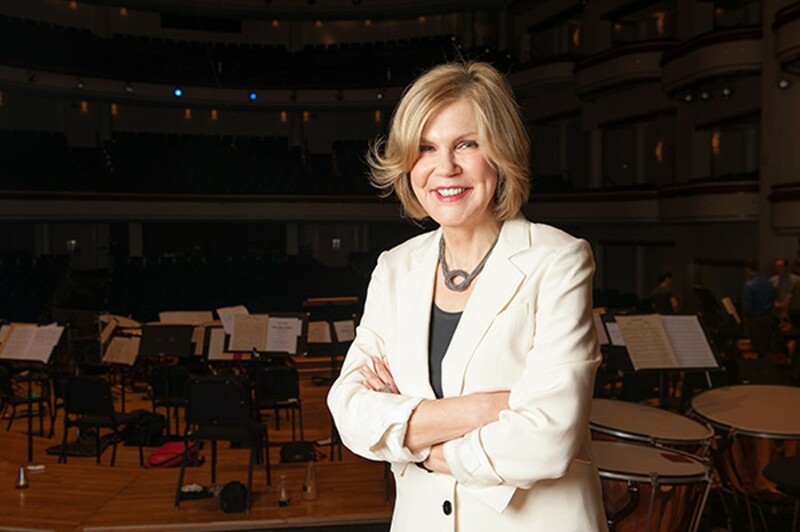 Deissler says giving audiences opportunities to talk to symphony musicians and see them as real people is key to connecting the Charlotte Symphony to the daily lives of Charlotteans. And she promises more of the same adventurousness in future programs. "I think that chance for one-on-one conversations between musicians and pub patrons has helped a huge amount to breaking down barriers," Deissler says. "You see all ages coming to the brewery, dressed very casually and ready for a little bit of culture and good beer. And we can replicate that breaking down of barriers in many other areas."